At NicChris we only collect personal information that is necessary for us to conduct our business as an online provider of goods. The personal information we collect will include information you give us when you place an order for the purchase of a good we supply. We may also collect personal information about individuals who are not customers of our business, but whose personal information is given to us by those individuals or other people in the course of a transaction. This personal information will include your name, address and contact details, and may include other personal information about individuals we collect in the course of a transaction. 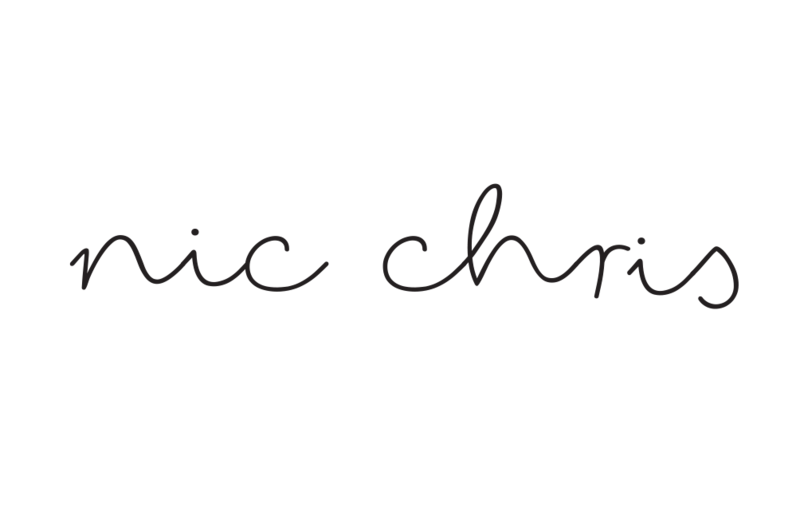 We may also collect some information from you when you use our website www.nicchris.com. Your use of the information and services available through our website will determine the type of information that we collect about you. The only personal information that we collect about you when you use our website is what you tell us about yourself, for example, when you complete an online form when placing an order, or information you provide to us when you send us an email. Please note, we will record your email address if you send us an email. We respect your privacy. Any personal information that we collect about you will be used and disclosed by us so that we can provide you with the services that you have requested, or otherwise to enable us to carry out our business as suppliers of goods. Please be assured we will not disclose information about you unless the disclosure is required or authorised by law, you have consented to our disclosing the information about you, or for another purpose (related to the primary purpose of collecting that information) that you would reasonably expect. We may also use your personal information to provide you with information about other services offered by us. However, the only information that you must provide is your name and payment details (where applicable). If you would prefer not to receive promotional or other material from us, please let us know and we will respect your request. We do not engage in unsolicited telephone. In particular, if you are contacted by telephone by an individual or organisation claiming to represent NicChris - do not purchase from the organisation as we have a strict policy against telephone marketing. In most cases you may have access to personal information that we hold about you. We will handle requests for access to your personal information in accordance with the law. We encourage all requests for access to your personal information to be directed to the Privacy Officer by emailing us or by writing to us at our email address (hello@nicchris.com). We will deal with all requests for access to personal information as quickly as possible. Requests for a large amount of information, or information which is not currently in use, may require further time before a response can be given. We may charge you a fee for access if a cost is incurred by us in order to retrieve your information, but in no case will we charge you a fee for your application for access. In some cases, we may refuse to give you access to personal information we hold about you. This includes, but is not limited to, circumstances where giving you access would: be unlawful (e.g., where a record which contains personal information about you is subject to a claim for legal professional privilege by one of our clients); have an unreasonable impact on other people's privacy; prejudice an investigation of unlawful activity. We will also refuse access where the personal information relates to existing or anticipated legal proceedings, and the information would not be accessible by the process of discovery in those proceedings. If we refuse to give you access we will provide you with reasons for our refusal. If you request us to do so we will amend any personal information about you held by us which is inaccurate, incomplete or out of date. If we disagree with your view about the accuracy, completeness or currency of a record of your personal information held by us, and you ask us to associate with that record a statement that you have a contrary view, we will take reasonable steps to do so. We are committed to maintaining the confidentiality of the information that you provide us and we will take all reasonable precautions to protect your personal information from unauthorised use or alteration. In our business, personal information may be stored both electronically (on our computer system) and in hard-copy form. Firewalls, anti-virus software and email filters, as well as passwords, protect all our electronic information. Likewise, we take all necessary measures to ensure the security of hard-copy information. Once your transaction is finalised, both the electronic and hard-copy information is securely archived. After a period of 7 years both the electronic and hard-copy information is destroyed. Email us at hello@nicchris.com . © Copyright 2019 NicChris. All Right Reserved.